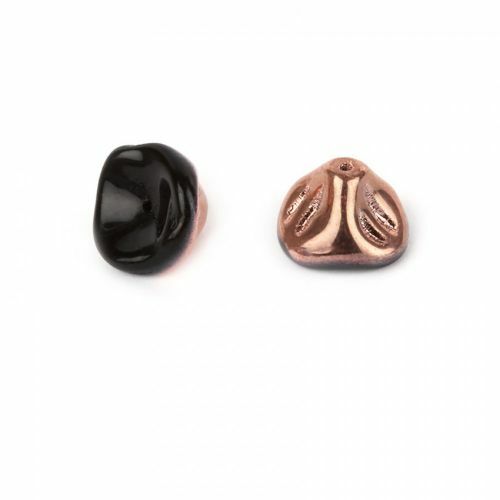 These Preciosa Pressed Glass 3-D Petal Beads in Black/Copper are black on one side and copper on the other. These large beads have delicate rippled detailing on the underside and each petal will be a slightly different shape. 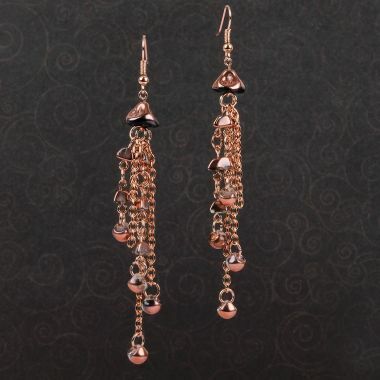 Pair them with other Preciosa shaped or seed beads for a beautiful summer creation. Each bead measures approx. 8x10mm. Sold in a pack of 10 beads.